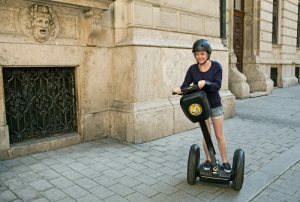 Budapest Evening Segway Tour - Yellow Zebra Tours Blog: Bike tours, Segway Tours, Bike rental, City Tours and more! 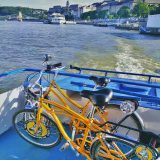 For adventurous types who always want to try something new and different on their holidays, riding around the city of Budapest on two wheels might be an unforgettable experience. Segways are fun, Segways are cool and Segways are easy to ride. 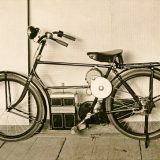 Everywhere you go in the world, these two-wheeled contraptions will cross your path offering you the blessings of the 21st century – in this case, an exciting and joyful way to see your holiday destination. Yellow Zebra offers a scheduled Segway tour various times a day depending on the season. 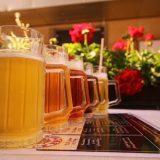 Taking the morning and the afternoon tours you will be able to immerse yourself in the local vibe and discover the buzzing life of the city during the day, whereas wheeling on the streets at night you get to see the beautifully lit, romantic side of Budapest. 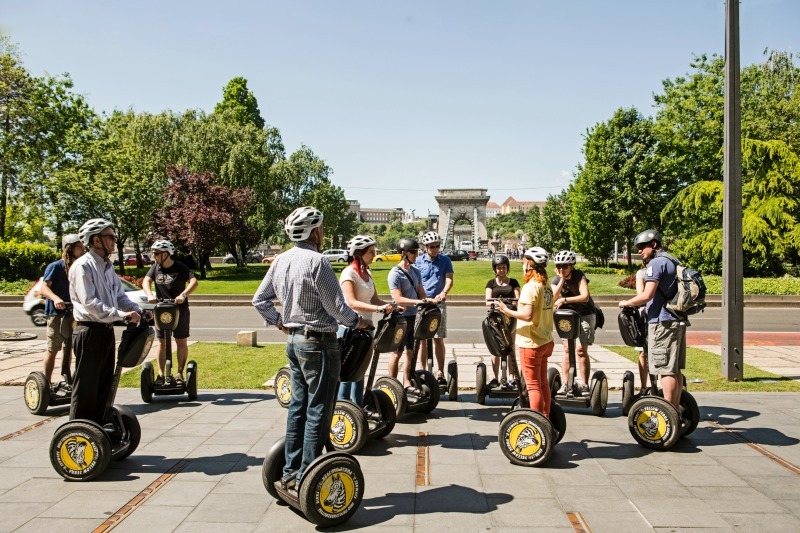 And the Budapest Evening Segway Tour allows you to feel the cool evening breeze as you glide past the sights. 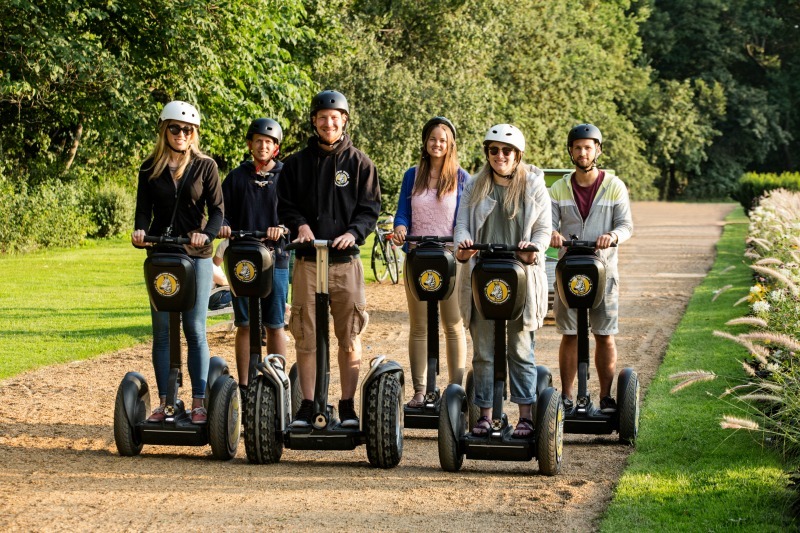 If you’ve never ridden a Segway before or are still a little nervous, then don’t worry. 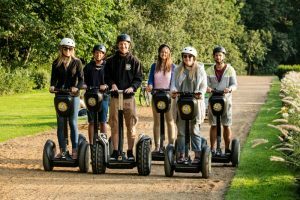 No Segway tour is launched without a 30-minute training conducted by one of our guides beforehand, during which you will learn how to move around safely on the actual tour. (The carefully planned routes also avoid roads with cars, minimizing the risk of any accidents.) A word of advice though: always make sure you’re dressed suitably for the weather and wear a helmet! 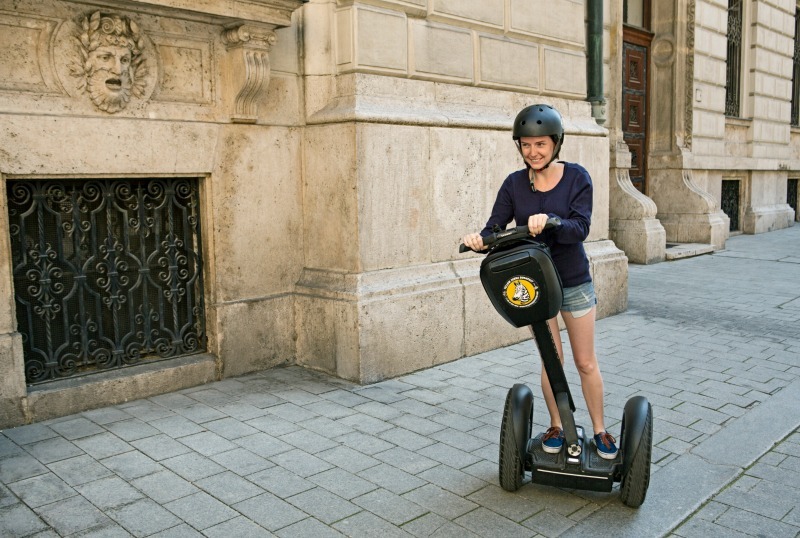 Once you’ve mastered riding a Segway and have your helmet on, your guide will show you the best of Budapest’s downtown. 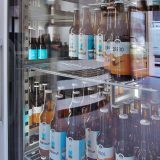 You’ll go at a steady pace along the exclusive Andrássy Avenue, around the stunning Saint Stephen’s Basilica, the Parliament. Then it’s down to the enchanting Danube promenade, as well as beautiful green Margaret Island! 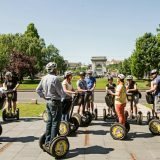 Scheduled Segway tours are available year round 3-4 times per day but you can also book private tours. 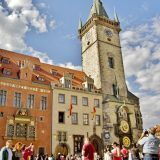 The scheduled tours are all in English, private tours though can be in German, Italian, Spanish and French. Previous story Yellow Zebra Bike Tour?